Discussion of Avalanche and Off Piste Safety issues, equipment and warnings. Tyrol warning of "Treacherous Avalanche situation"
We need to talk about ... Avalanches! 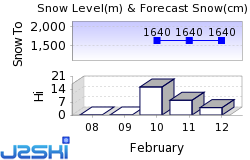 FREE Snow Reports by e-mail. Ski Hire Shops in Obertauern, Tignes, Tignes Le Lac, Tignes Les Boisses, Tignes Les Brévières and Tignes Val Claret. Where is there snow in Austria? 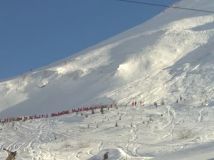 At least 24 Ski Areas in Austria, including Bad Gastein, Kitzbühel, Obergurgl-Hochgurgl, Obertauern, Saalbach Hinterglemm, St. Anton am Arlberg and Sölden are reported to be open. The views and opinions presented in the J2Ski Forums are solely those of their respective authors and do not represent those of J2Ski Ltd. Objectionable Content may be notified by sending a Private Message to Admin.